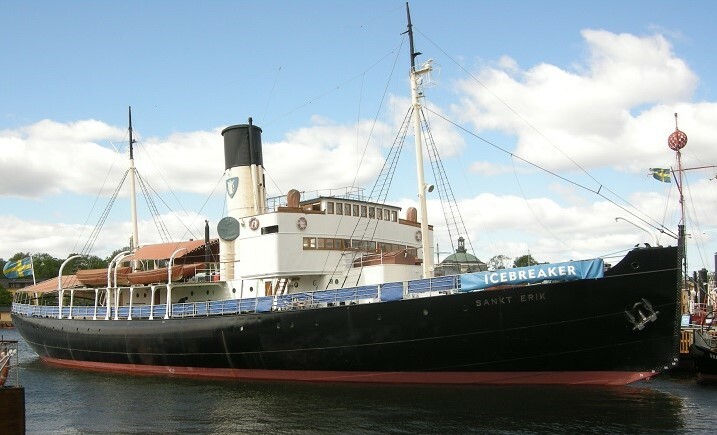 The steam-driven icebreaker 'Sankt Erik' is currently based in Stockholm, next to the Vasa Museum (Stockholm), and is open to visitors, free of charge. The ship is maintained in excellent condition, and is in operable condition, but with two of the four boilers decommissioned. Built at the Finnboda shipyard and launched as 'Isbrytaren II' in 1915. 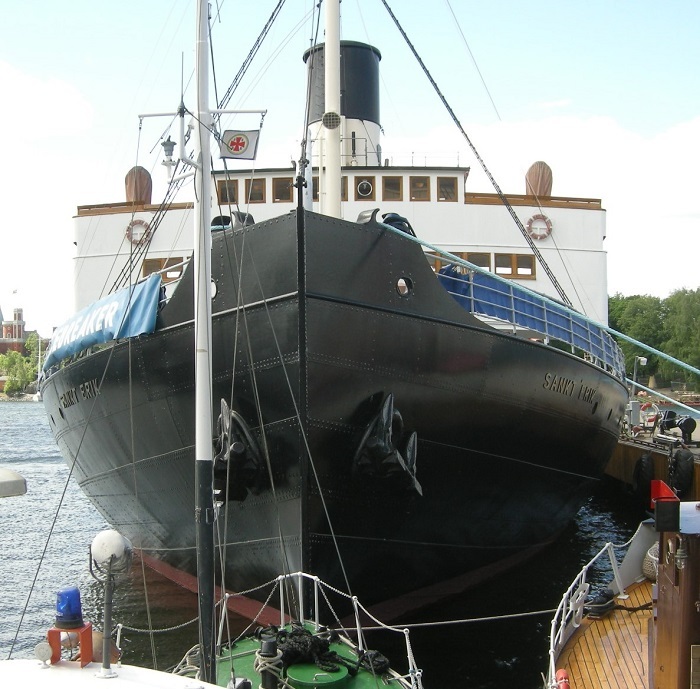 She served in the approaches to Stockholm until 1927, when she assisted shipping in the Gulf of Bothnia. 1958 Refitted. Modifications included enclosing the bridge against cold weather! The boilers were converted to burn oil instead of coal. Name changed to 'Sankt Erik'. 1980 Became a museum ship. The main engine is a large triple expansion steam engine developing 2800 HP. There is a smaller engine of 1200 HP driving a bow propeller that drives water and crushed ice along the flanks of the hull. This page was last edited on 14 June 2018, at 22:43.